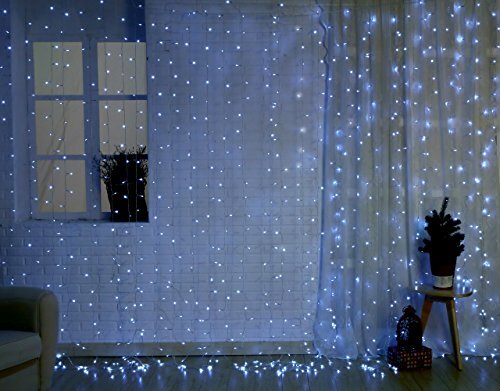 Add A Touch Of Elegance, Glamour & Romanticism Around The House With AYG String LED Lights! Mount, Hang, Place, Sink, Adjust, Cover, Mold, & More... 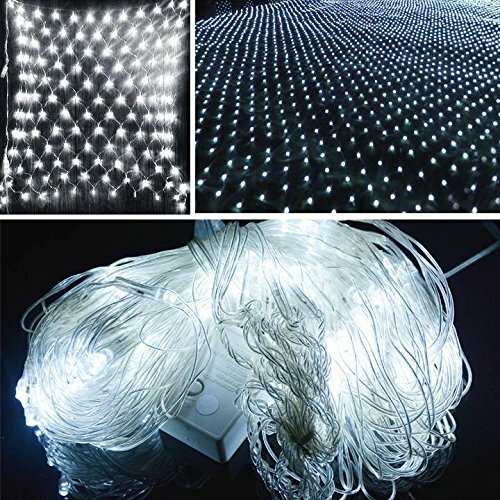 Anything Is Possible When You Have AYG LED Lights:Combining a bendable, easily moldable yet durable copper craftsmanship, these LED string wired lights are here to accommodate all of your decorative needs. 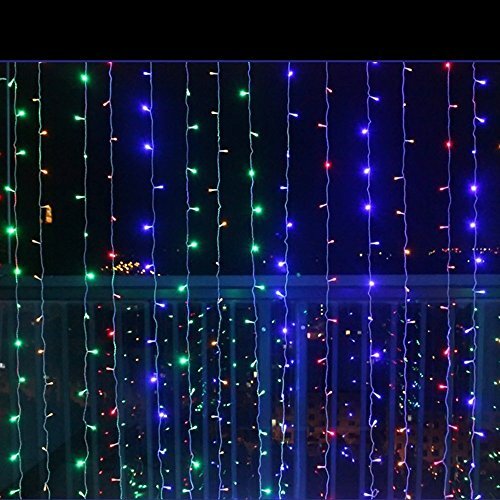 6 & 1 Ways To Use These Outdoor Fairy String Lights: Wedding receptions, graduation and birthday parties, or baby showers;Garden, patio, yard, balcony, deck, and parking lot;Cafeterias, bars, restaurants, massage and spa centers;Bedroom, living room, dining room, study room, attic and basement; Over furniture, picture frames, near windows or on staircases;As table centerpieces, candle décor, in jars and vases;On plants, pathways, over drapes and curtains. What are you waiting for? Scroll Up & Click Add To Cart Now! 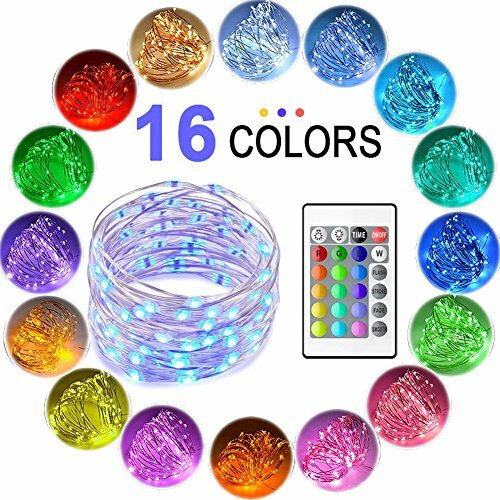 Technical Specification: Light Color: 16 Colors LED Quantity: 100 pieces Length: 33ft/10 Meter Input Voltage: 120V-240V AC Output: 6V Modes: Smooth/flash/strobe Waterproof Level: IP65 Copper Material: Copper wire Warranty: 1 year Please Note: Please note that the string light can not be cut or connected with other string lights. LOVELY LED CANDLES FOR Valentine's Day. These environmental friendly flameless candles are ideal for home, hotel, restaurant and bar decoration. No flame, no fume and no wax mess. These votives candles are safe around home, children and pets. With the remote control and timer, you can easily control the votive candles. 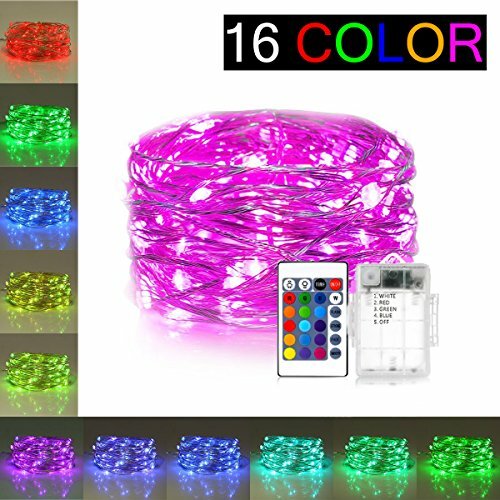 The color changing votives are especially good for parties, holidays, such as Christmas and home decoration. 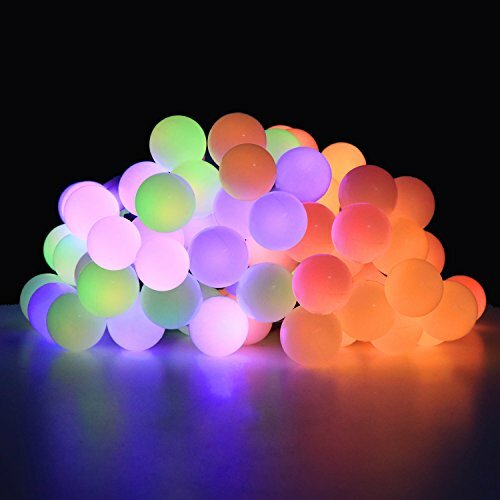 They are great mood lights. These candles can be used outdoor, but not designed to withstand heavy rain. Each set includes 10 plastic flameless votive candles and a remote control. 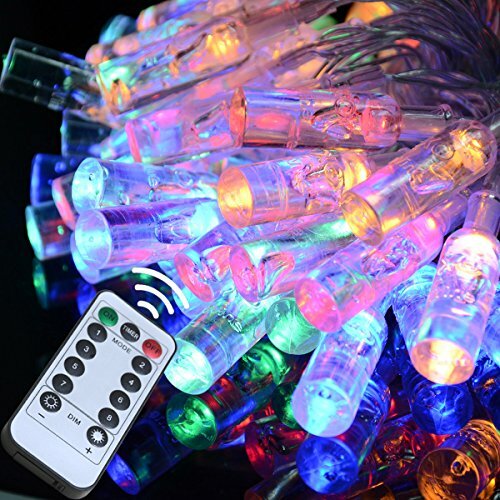 With the remote, you can choose your favorite color out of 12 available colors. You can also let the colors change themselves. You can switch between flickering light mode and steady light mode. In addition, you can set 4-hour or 8-hour timer. Please note that the timers are auto off only timers. That mean after 4 hours or 8 hours, the flameless candles turn off automatically but will not turn on again automatically. You need to use the remote control to turn on the flameless candles again. 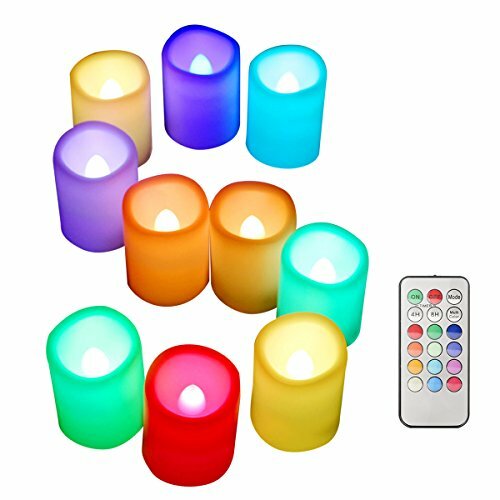 There are ten plastic votive candles (D1.5"xH2") and one remote in each package. Batteries included. 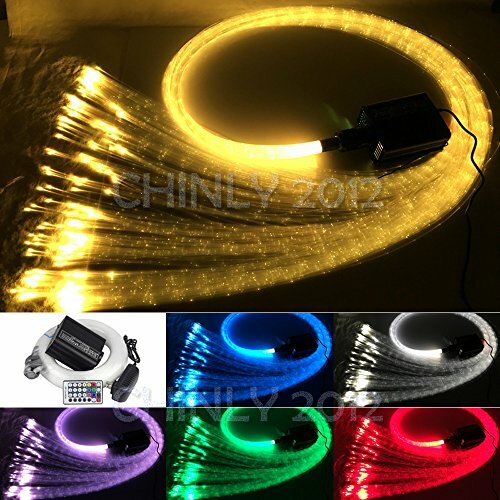 RGB 3 colour change curtain lights, red, green and blue change or mixed colour change, quick flash, slow glow,etc. 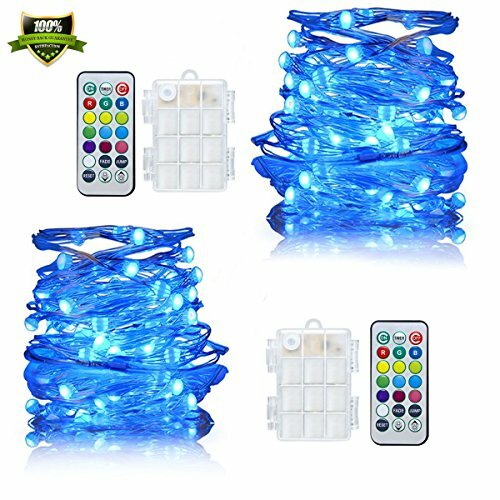 Compare prices on Color Changing Curtain Lights at ShoppinGent.com – use promo codes and coupons for best offers and deals. Start smart buying with ShoppinGent.com right now and choose your golden price on every purchase.